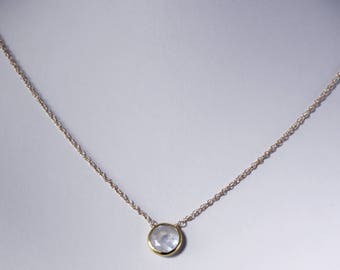 "Precious Single" Aquamarine Necklace: our beautiful genuine Aquamarine is a real gemstone, easy to wear, day and night! 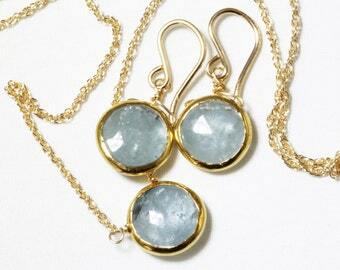 Wear rare Aquamarine, the March birthstone, for courage, strength, and natural blue beauty! 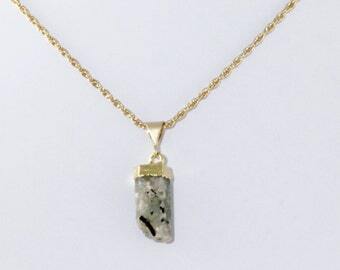 The stone is a genuine Aquamarine gemstone, with earth's beauty and imperfections, so you'll know it's real! 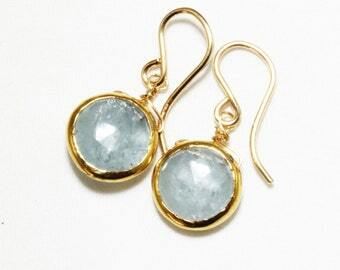 Translucent aqua blue, each Aquamarine stone is a unique one-of-a-kind, and sized from approx. 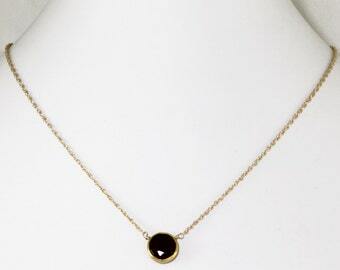 5/16"-3/8" (8-10mm), hand-faceted, coin-shaped, and bezel-set in 18k Gold Vermeil (gold over Sterling Silver). 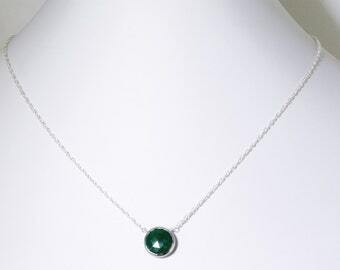 You will receive a necklace equal in quality and beauty to those shown in the photographs. 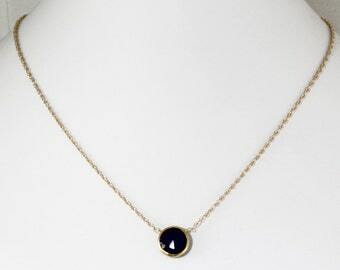 Chains are 14k Gold Filled, finished with a 14k Gold Filled lobster claw clasp. The descriptions below are for an “average” size person. If you need help choosing, send us a note! – 14” to 16" (35.6cm to 40.6cm) long: CHOKER or COLLAR length, the longest length falls close to the base of the neck, above the collar bone. Also a good size for a child or teen. 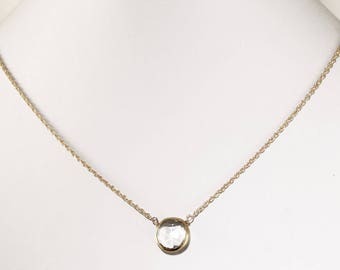 – 16" to 18” (40.6cm to 45.7cm) long: PRINCESS length is the most common necklace length, and falls from above the collar bone to the collar bone. – 18" to 20” (45.7cm to 50.8cm) long: PRINCESS/MATINEE falls from the collar bone to just below the collar bone (longest length). 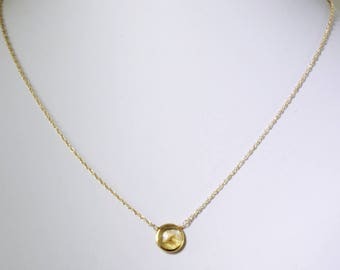 The most common chain length for a pendant. – 20" to 22” (50.8cm to 55.9cm) long: MATINEE length will fall from below the collar bone to the top or center of the bust (above a low neckline). 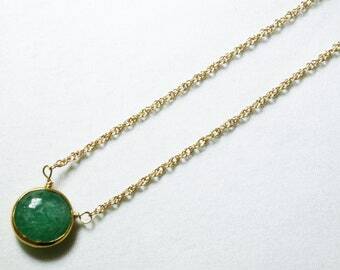 Also a common chain length for a pendant. – 22” to 24” (55.9cm to 61cm) long: MATINEE length falls from the top or center of the bust (or above a low neckline) to at or just below the center of the bust. – If you prefer a set chain length (not adjustable), order the longer length , and send us a note with your length preference. The birthstone for March, Aquamarine is one of the most rare and valuable of all gemstones. 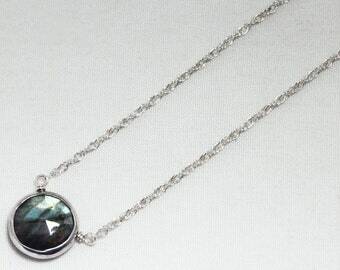 Aquamarine has been highly valued since the ancient days of Greece and Rome. 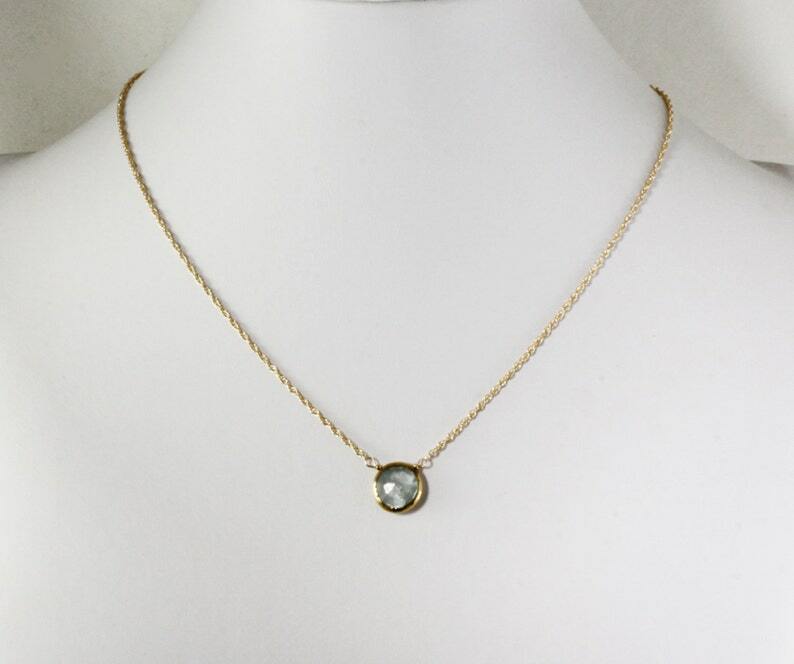 Known as the "Mermaid Stone," ancient mariners carried Aquamarine for courage and protection against the dangers of the sea (from the Latin for seawater, aqua, “water,” and marina, “of the sea”) . As Pliny the Elder said, “The lovely aquamarine, which seems to have come from some mermaid’s treasure house, in the depths of a summer sea, has charms not to be denied." 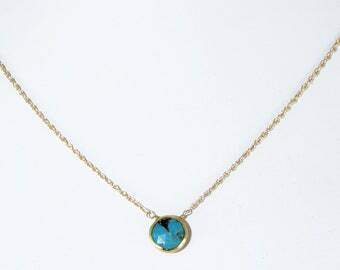 Aquamarine is a blue type of Beryl (Emerald, a green Beryl, is the most precious Beryl stone). GET SET: Order a matched Set, and we will hand-select stones that look great together and make a special Set just for you (and you save $$, too!). - Each item comes Gift Wrapped in our ELS signature box with ribbon & gift tag. - Got a Question, need a Gift, or a Custom piece? Write to us; we'd love to hear from you! 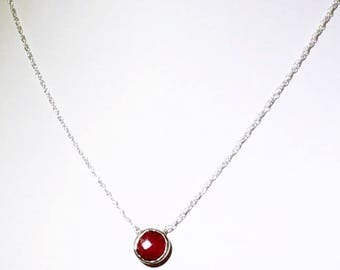 - Check our store front for Sales, New Jewelry, and look though our Sections! Beautiful combination of colors which are not often seen on pearl bracelets. Thank you!